In part 3 of a series with Strategic Coach Program’s Dan Sullivan, Dan gives his practical success tips for entrepreneurs. Dr. Daniel Amen weighs in with the role that the brain makes in all of Dan’s super helpful and actionable advice. 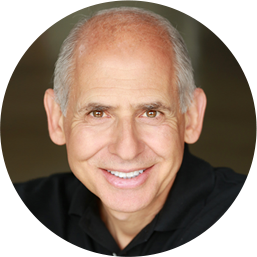 Dr. Daniel Amen:	The Brain Warrior's Way Podcast is brought to you by Amen Clinics where we transformed lives for three decades using brain spec imaging to better target treatment and natural ways to heal the brain. Form ore information, visit amenclinics.com. 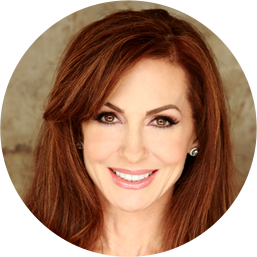 Tana Amen:	The Brain Warrior's Way Podcast is also brought to you by BrainMD where we produce the highest quality nutraceutical products to support the health of your brain and body. For more information, visit brainmdhealth.com. Welcome to The Brain Warrior's Way Podcast. Dr. Daniel Amen:	Welcome back. We're here with strategic coach Dan Sullivan, co-founder and creator of the Strategic Coach program. He's had over 18,000 entrepreneurs go through his program. He's a visionary and innovator, a mentor for Tan and I. We're just so grateful for him allowing us to help make his brain better and him sharing our work with so many. What, Dan, I want to do in this last podcast is really have you speak to our audience on the big things you have learned that have been the most helpful both to yourself and to the people you serve. When I ask you that, what comes into your mind? Dan Sullivan:	It was interesting because yesterday we had a number one workshop. We have three levels of the program. The first is called the signature level. This is really basic and it's usually 200 to $500,000 income groups. Then we have another group, which is the 10 times. The number one thing and you'll appreciate this, when I give talks, I just go to a whiteboard and I'll write three or four words and I put a circle around it. What I write down is Self-Managing Company. I said, "Now you don't know what I'm going to say about this, but how many of you would like to have one of these?" Every hand in the room goes up. Dan Sullivan:	I said, "Well, this is the key because you have certain unique abilities that gave you the courage to go out and be an entrepreneur in the marketplace, but then life got really complicated." I said, "Life was never so good as the day before you actually had your first customer." You just had complete freedom of time. If you wanted to go to a movie that day, it's no problem. You could play golf. I said, "The complexity of your life is you acquired customers and there's details." The biggest difference I make is that you should be in charge, but you shouldn't be in control. You should be in charge. You should be electrifying things. You should be giving vision. You should be providing motivation, but you shouldn't be controlling the details because your job is to always be creating the future company, not the present company. The present company is already created and what you need is really good managers who are excellent at maximizing the present company. Your job is to be taking all the experience of your success. The first distinction I would make is be in charge, don't be in control. Entrepreneurs, that's tough. What I mean by that is bureaucrats have weekdays. They have weekends. They have holidays and they get a certain amount of vacation. What I say is that doesn't work for you. I mean that's not how you operate. I said, "So I'm going to tell you how you operate. You operate on an entertainment model." Okay. If you think about entertainers, which also includes athletes because they're part of the entertainment world, they have performance days. It could be two or three hours, but it's crucial that during those two or three hours they're just performing, whether it's a stage performance or whether it's an athletic contest. They also have practice days where they're getting ready to perform. Then they have lots of free time. They have lots of free time. I said, "So you're a performer. You're not a corporate executive. If you were a corporate executive, you'd be a corporate executive. You've chosen not to go in that route. You're a performer and you've got ideas for creating new kinds of value in the marketplace." I said, "So what we're going to do is we're going to take 365 days in a year and we call one of these days free days. This is what we're going to look at first, how many free days are you actually taking?" A free day for us is no activity related to work whatsoever. You can't read business book. We recommend they get two phones. They have a business phone and they have a personal phone. On free days you can only use the personal phone. It's for personal relationships. You can't check your computer. You can't do a deal on a free day. I just had a wonderful, wonderful conversation with Peter Diamandis yesterday because Peter is a tightly scheduled entrepreneur. He told me yesterday and this is seven years of Peter's been a coach. He said, "Dan," he said, "I'm going to tell you something." He says, "I canceled two huge speeches in July so that my family and I could go to Iceland for two weeks straight." I said, "You're approaching strategic coach manhood, Peter." Dr. Daniel Amen:	I love that. Dan Sullivan:	Never in a million years seven years ago would Peter have done that, but what he's noticing is that the more free time he has, the more slack time, the more he just does important deals. He only does really important things. What you're trading is quantity of time for quality of impact. Quality of impact. You see it in sports. You see it in entertainment. Corporate world doesn't really work that way, except the really great ones who are deal makers. They make certain crucial decisions. Whatever people think about as politics, Trump just knows when the crucial three minutes is, when the crucial 10 minutes. It's not about what's going on backstage. It's just what's going on front stage. Hillary was just the opposite. She thinks studying long and hard did it and that's not the way. United States is an ADD country. Dr. Daniel Amen:	So ADD. Oh my goodness. Dan Sullivan:	It's a total ADD country because the ADD people were the people who risked their lives to come from Europe or Japan or China to come here. You have to be ADD to leave behind everything you did because you're so thin. I said, "You have to have a leader who's in sync with the people." We got an ADD president who's in charge of an ADD company. You're seeing this more and more because the world is becoming more unpredictable about the changes because of technology. You have to reinvent yourself a lot on a quick basis. The entrepreneur is the person who has an unusual ability to reinvent themselves in response to changing conditions. That's the big thing. The other thing is think in terms of 25 years. Our timeframe for thinking in the future is 25 years. That gives you 100 quarters and you don't have to live the 25 years. You just have to look the next 90 days. Do five important things in the next 90 days and come back to us. Go through your thinking, what did you achieve. Redirect yourself and go out. You can see how for the ADD person ... I have to tell you, the program has been formed in response of what will keep an ADD person in my program for 20 years. Dr. Daniel Amen:	That's amazing. I heard one statistic, although I'd love your thought on this, that about 50% of CEOs of entrepreneurial companies have ADD. Dan Sullivan:	Oh yeah. Yeah. It's not a liability if they just go after the sweet zone, the unique ability, and then everything else just gets delegated out to other people who have unique abilities in those areas. I mean that's why we love sports because the really great sports teams, the coaches don't ask athletes to do things that they're not good at. They will surround somebody with a lot of compensating capabilities where the people are really, really great at it. I mean where you are, I mean there's a lot of psychologists and psychiatrists who are dealing with the issue of ADD that got a practice and they've got clients. You're unique. I mean when I look at you ... Because you said, "Well, first of all, it's not my opinion that we're going to go in. It's not my unique artistic ability to figure out whether you're unique or not. We're going to actually do tests. I can show you the tests." You immediate developed a multiplier and then you surrounded yourself by people ... Everybody who is needed for one clinic. How many do you have now? Dr. Daniel Amen:	Eight. We just opened our eighth clinic. Dan Sullivan:	Yeah. Yeah. You did that because there's certain things that you're really great at. Not only are you great at, but you'll be greater at them in the future. As long as you can stay in that sweet spot and the support systems around you, plus you have other things like growing reputation, you just have raving fans and you can build on that, but you can multiply yourself almost indefinitely. You look like you're in great shape. There'd be no reason why you wouldn't be better at your game 25 years from now than you are from today. I mean I'm 74 and I'm looking at 99 because the help is out there. Peter and I just had two podcasts last night. He said, "You know, the help in terms of technology and science is out there. People who don't have any reason to use them, aren't even going to notice them." Dr. Daniel Amen:	Well, and being passionate, being purposeful actually people live longer. They have less dementia if they have a reason to give up. A lot of entrepreneurs money's not the thing, although I always say if there's no margin, there's no mission, right? You have to be a good business person, but that's not the reason why we do it. We do it because we're passionate about our businesses. I mean forever I've been passionate about what we do at Amen Clinics. Dan Sullivan:	I noticed. I noticed My sense of humor is proportional to cash flow. Dr. Daniel Amen:	Yes, I understand. Dan Sullivan:	I don't say that lightly to actually have a sense of humor about yourself. It means that you're significantly freed up in your brain. You can see yourself from different directions and you can make yourself the object of your own humor. That's actually a phenomenal psychological capability. I would say that the other thing that we do right off the bat when people come into the program, I say, "First thing I want you to do is write down a number and the number is how old you're going to be when you die. I just want you to write it down." Everybody does. Our company has done it with 18,000 people. I said, "Now I want you not to talk about that number unless say it's 85." I said, "Let's talk about 84, the year before. I want you to tell me how you are physically when you're 84." They go, "Oh, great. Great shape. Healthy." I say, "Mentally, how are you sharp?" "I'm sharp. Got all the back release." I said, "Financially? "Independent. No worries." "Relationship?" "Oh, just deep relationships. Many stimulating relationships." I say, "What is your assessment of your life that you've lived over the first 84 years? What would you say about it?" "I contributed immensely. I maximized my opportunities." Everybody says the same thing. All 18,000 have said the same thing. I repeated back to them the physically, mentally, financially, relationship. I said, "So if you were that way at 84, what do you think the chances are you would die at 85?" They say, "Well, I won't." I say, "You won't. So how much longer than 85 would you live?" "10-15 years." I said, "Well, which is it? 10 or 15?" They say, "Well, 15." I say, "Okay. We're at a hundred. You've been here an hour and a half and I just bought you 15 years." Dr. Daniel Amen:	That's hysterical. Dan Sullivan:	Here's the thing I did because everybody's got a number, but very few people know they have a number. They pick it up from family history, actuarial tables, statistics. You are actually planning your life and you're investing or not investing. You're slowing down in relationship to a number. Mine's 156. 31 years ago I established that I was going to live to 156. The reason is I wanted to live a complete century. I was born I 1944, so I missed the 20th. I said, "Well, we'll add 56 and then we'll start fresh in 2000, so I'll wait for a century." I didn't tell anybody about this. It was kind of like the diagram that I shared with you when you were in Scottsdale and that is I said, "Supposing you're just breaking water now. You're in a Hawaiian island." The tallest mountain in the world is actually Mauna Loa. Mauna Loa is a mile higher than Everest, but you don't see the base enough to ... It's about 8 or 9,000 feet. My feeling is from an outside standpoint right now, you're just breaking water. People are just becoming really aware of you because people are just really becoming aware of the problem and the whole issue of brain and how much brain determines everything else. The health of your brain, how much of the abilities of the brain you still have. I think you're just breaking water right now and all the growth that it's going to be over the next 20 or 30 years. How you're looking at that and what you're going to focus how you're going to divide your time up and just what you're going to look at for the next ... See, I think you've got the message and you're the messenger for a whole world now that's just coming to grips with a fundamental issue. That changes everything. I mean this literally changes everything. Dan Sullivan:	Well, soccer is if you're doing head shots. If you're doing head shots and stuff. Dr. Daniel Amen:	Right. If you love it as you did, it puts you at higher risk. The goal is teaching people to love their brains from the beginning. Even if they've been bad to their brain, well, what is it I can do to repair it? From a business standpoint or a mission standpoint, it's huge, but it's so exciting. So much fun. So, so exciting. Dan Sullivan:	No, I'm convinced. I mean I get updated with your analysis every year, a couple of years, when I see you. I said, "Almost everything you want to know about education can build on the platform of how you're taking care of your brain. Your totally learning ability." I have to tell you, I don't want to run you too long here, but one of my great sort of hobbies is I go to London a lot because we have the company in London. They have one of the most phenomenal institutions in the world and it's the black cab drivers in London. It's very, very interesting because anytime I get into a black cab and I don't take Uber because the black cab drivers get their medallion have to be aware of roughly about 3,000 streets. If you say it, within a matter of seconds, they have to kind of know where it is. They don't have the phones. They don't have the GPS. They know about a thousand landmarks. I asked them. I said, "Well, how many started in your class? The class that you started," because they have classes, continual classes. They said about 25. I said, "How long does it take to get through before you get your medallion?" They said, "It's about three years full-time study." It's like a master's degree. I mean it's like a PhD. It's streetology. They're doctors of streetology. London it was designed by cows 2,000 years ago. There's not a straight street in ... The street in three miles will change names six times and it'll change directions four times. They have to be able to answer to the question "this is the fastest, easiest route to get there." I said to them, "When I give you an address, what's happening in your brain?" They say, "Well, I'm seeing the complete map in my brain." I said, "If you don't have a visual ability, can you be a black cab driver?" He says, "No, because it would be too frustrating." Dan Sullivan:	You wouldn't get better. You wouldn't get better. Dr. Daniel Amen:	Do you know there's actually an MRI study on London cab drivers and it showed a part of their brain called the hippocampus, which is Greek for seahorse, they're about the size of your thumbs, was significantly larger in London cab drivers. The more you work it, the bigger it gets. The more you use it, the more you can use it. Even though you are 74, because you have the expectation you're going to live to 156 and you stay completely immersed in what you're passionate about and you got rid of the sugar, let's not get rid of that. That's important. You got rid of the sugar and you're balancing your brain with the medicine, you are likely to be more purposeful, sharper for a longer period of time than anyone else your age. We have to stop, but what a joy to spend time with you. Dan Sullivan:	It was a real pleasure, but I just wanted to get across here how much in alignment ... What I discovered when I came to the clinic, how much in alignment the work that I've been doing since 1974 is, but two completely different worlds. I mean you came at it from a completely different direction, but that's how entrepreneurism and what the next level of entrepreneurism is where you are so good in your company that you've gone 10 times. Now you can collaborate. We say, "What would it take to go a hundred times now? I mean you've already gone how many times have you gone? 10 times? Three or four times? But now let's go a hundred times." You'd say, "Well, I probably couldn't do that inside my company." I said, "So what's the capability out in the marketplace? It doesn't have anything to do with you that you need to go a hundred times." We just started this program about a month ago. What do we have now? About 40 total? 40. Everybody who's everybody that you would know is in this program. Dean Graziosi. He's starting in two weeks. Joe's there. Joe Polish of course. A lot of people who know you are in that program. They are visibly younger. They are visibly younger because I've just given them another 25 or 30 years of fascination and motivation as they go forward. This is why I'm on the planet is just to help this one kind of person, this entrepreneur, this person who creates new value in the marketplace, creates new solutions in the marketplace. This is all I really want to do is just help people who have something massive to give to the world to do it in a way that's enjoyable for them. I mean there's lots of people who are doing great things for the world, but they're not getting any psychic benefit from it. Dr. Daniel Amen:	Well, send the information on it. I would love to know more. For people who want to know more about Dan Sullivan, he has books. I think going to strategiccoach.com would be a great thing to do. Dan Sullivan:	It's actually the best. Yeah. Dr. Daniel Amen:	Great. All right, my friend. Thank you so much. Thank you for listening to The Brain Warrior's Way Podcast. 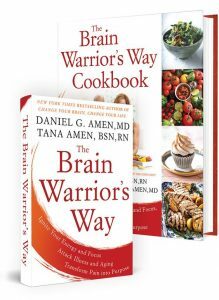 Go to iTunes and leave a review and you'll automatically be entered into a drawing to get a free signed copy of The Brain Warrior's Way and The Brain Warrior's Way Podcast Cookbook we give away every month.